The energy industry creates and maintains thousands of jobs annually, including those in the fields of welding and pipefitting. 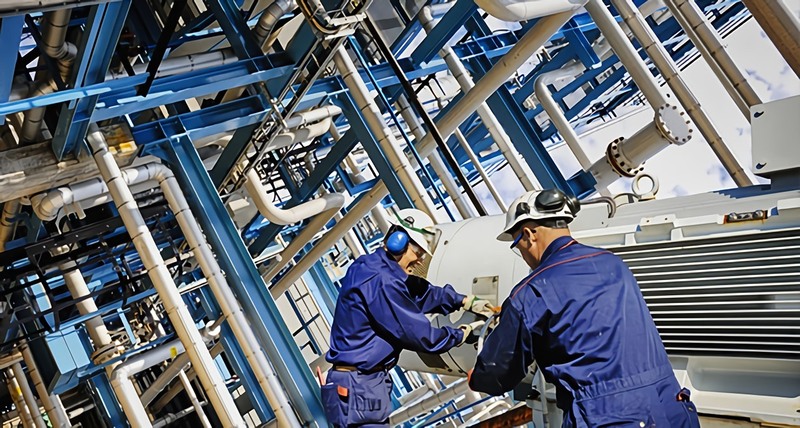 In recent years, rapid growth in the extraction of oil and gas in key areas of the United States has resulted in a tremendous demand for skilled trades workers. Compounding that demand is a diminishing pool of labor to fill the increasing number of welding and pipefitting positions, as these workers are retiring faster than they’re being replaced. North Dakota: The current Bakken oil boom of North Dakota began in Mountrail County in 2006. By 2014, North Dakota was producing one million barrels of oil per day, accounting for 12% of the country’s crude oil. The state’s 10,459 combined oil and gas rigs create 120 jobs per rig, and shale extraction and refinement show no signs of stopping or slowing in the current market. Oklahoma and West Texas: Across Oklahoma and West Texas, technological innovations in fracking have given birth to a new era of oilrigs and thousands of jobs. Overall, oil and gas extraction in Texas created 75% of all oil and gas jobs in the U.S. in 2013, including in the skilled trades. Gulf Coast: Starting in early 2014, the Gulf Coast’s energy boom sparked a demand for skilled workers, including those who have completed welder or pipefitter training. The number of pipefitters, welders, electricians and other skilled trades professionals working in the Gulf Coast is projected to rise from 62,000 to 103,000 by the end of 2015. The deep shale deposits of natural gas and oil in this area account for 13% of daily U.S. liquefied natural gas (LNG) production. South Texas: A University of Texas study found that the oil and gas industry in South Texas was responsible for 116,000 jobs in 2012. The recent growth in the energy industry has resulted in a surplus of oil and gas, which has strained the infrastructure necessary for the transportation and storage of these materials. Natural gas distributor Vectren has seen an incomparable demand for the installation of pipes for new rigs and the replacement of aging pipes. The company has more than $600 million worth of work waiting on the sidelines because there are not enough skilled workers available. Additionally, $64 million is projected to be spent on the expansion of LNG production facilities along the Gulf Coast, further increasing the demand for pipefitters and welders in that region. In general, the Bureau of Labor Statistics 1 expects the pipefitting field to grow by 21% in the next few years. This data is based off of information collected in 2012; therefore, the true growth in this sector of the economy may be significantly higher than projected estimates. Numerous skilled trades workers have achieved personal success on the oil fields. Bill Key is one of them. After taking welding classes in high school in the 1980s, he found his first job making a few repairs to an oilrig in Oklahoma, for which he made $100. He then borrowed $30,000 from his father-in-law to purchase a welding truck. Within a year, he repaid the loan and still made a profit of nearly $50,000. As the oil boom in Oklahoma and Texas grew, so too did Key’s business. Today, he owns 10 welding trucks, multiple high-end welding and cutting tools, and a 250-ton press brake, as well as a 5-ton overhead crane. Key’s story is a testament to the economic growth and upward mobility that energy booms across the United States may offer to skilled workers, especially welders and pipefitters. If you’re interested in starting on the path to a successful career in one of these trades, contact Tulsa Welding School to learn about pipefitting training and welding certification.